Kickstarter has had a lot of incredible campaigns in the past. I don't have shelves filled Kickstarted goods, but I have backed my share of products. 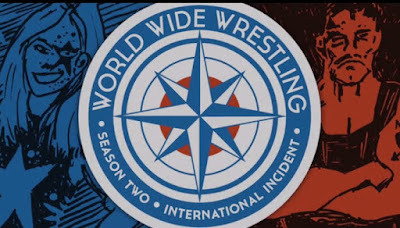 One of my favorites was Nathan D. Paoletta's World Wide Wrestling RPG. The game which involved both in ring action and backstage maneuvering was perfect for the person like me who writes sprawling backstories for created wrestlers in video games. The game is easy to play, true to the source material, and obviously written with a lot of love. Because of this I was thrilled to see that a second book is recently been added to Kickstarter. 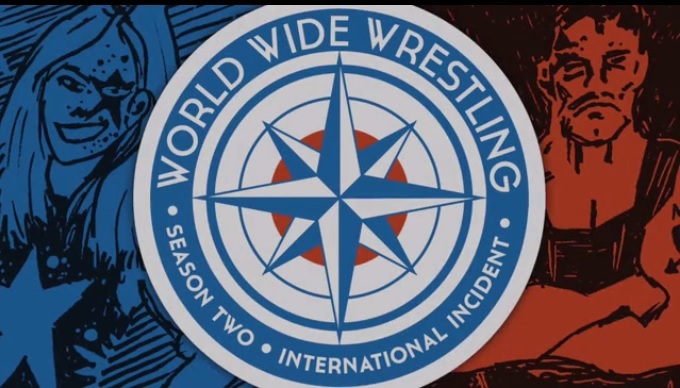 World Wide Wrestling RPG: International Incident is adding more testicular fortitude to the main game. As the name implies many of the new gimmicks will have an international flavor to them. Lucha Libre wrestlers can now show those High Flyers how it's really done. Japanese style Puroresu will teach those American audiences what "Strong Style" really means. Besides the new gimmicks the game also introduces rules for growing your promotion, audience moves, mythic moments, off camera stroke, long term play, and additional tips on match flow. I backed the project the moment I heard about it. If you haven't picked up the original yet, there is even a pledge tier that includes both games. Check out the Kickstarter by clicking HERE and check out Nathan's website by visiting ndpdesign.com.